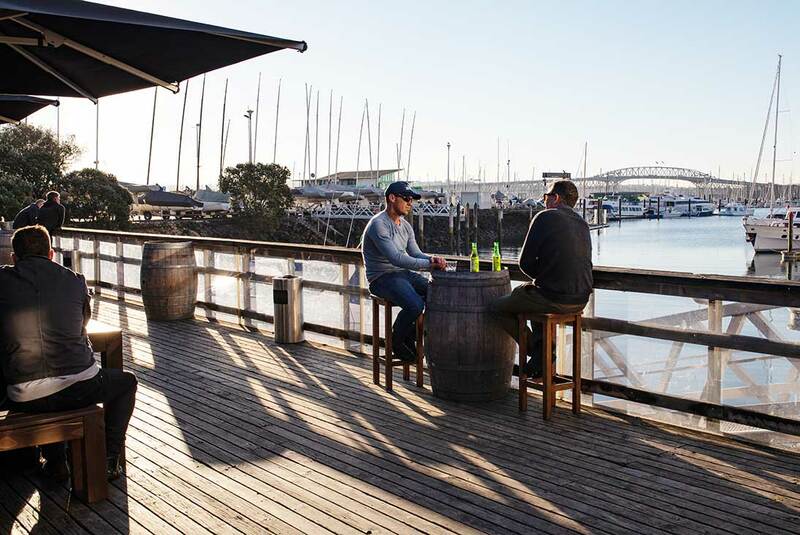 Considered by many the best seafood restaurant in Auckland Swashbucklers is a 'destination' dining experience on the waters edge of Westhaven Drive. Seafood is of course our speciality, but our non seafood and kid’s menu items are equally as delicious. The wait staff are warm and professional and will get to know you on a first name basis after you've visited us a few times. Click HERE for a virtual tour of our restaurant. 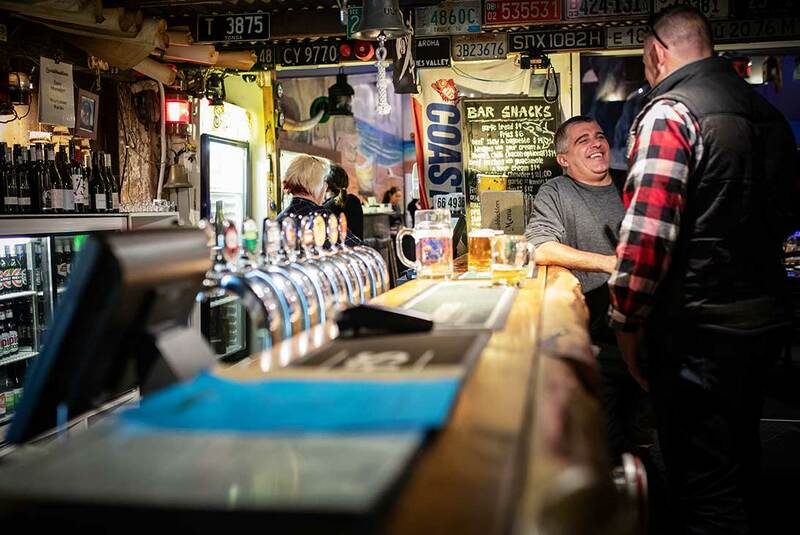 Everyone is welcome and diversity is encouraged in the Boat Shed. Pull up a seat under the tin roof and overhear fantastical stories from the many characters that tread the boards. 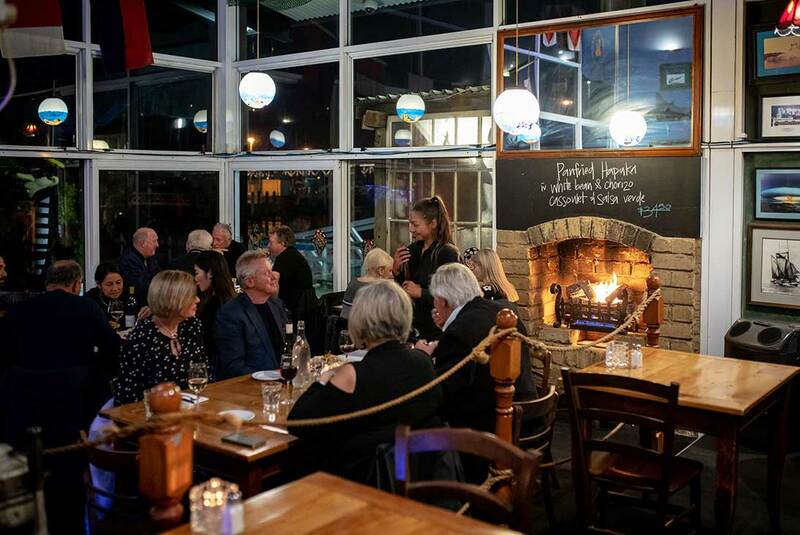 Everyone has a grand old time in the Boatshed and if you turn up on the right night you might find that it’s the greatest show in town. 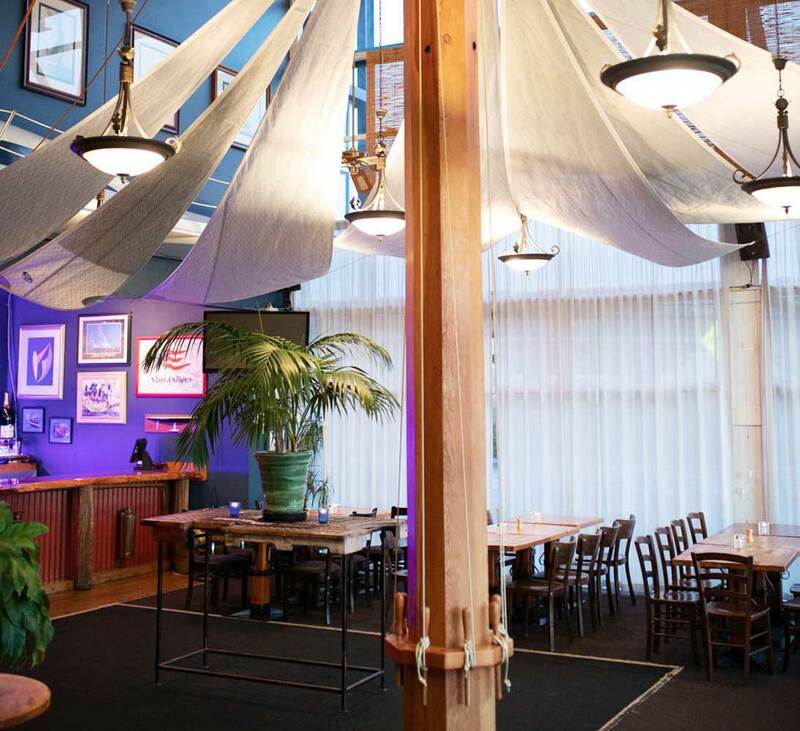 Click HERE for a virtual tour of the Boatshed Bar. What better place to enjoy a basket of fish and chips with a freshly poured beer or wine amongst friends? Kick back on the deck and watch Auckland earn it's City of Sails title. Whether you’re there to relax or celebrate, enjoy the lightly salted air, open attitude and friendly surrounds looking out over the boats. Outside tables are not available for reservation. They are sat on a first come first serve basis only. There is no table service on the deck so if you wish to order drinks or food you must do so from the bar. Click HERE for a virtual tour of our stunning deck. OUR FUNCTION ROOM IS THE PERFECT VENUE FOR YOUR NEXT PARTY OR EVENT. OUR FUNCTION ROOM IS IDEAL FOR BIRTHDAYS, ENGAGEMENT PARTIES, STAFF PARTIES, CHRISTMAS PARTIES, CORPORATE GROUPS. Click HERE for a virtual tour of our multi purpose function room.